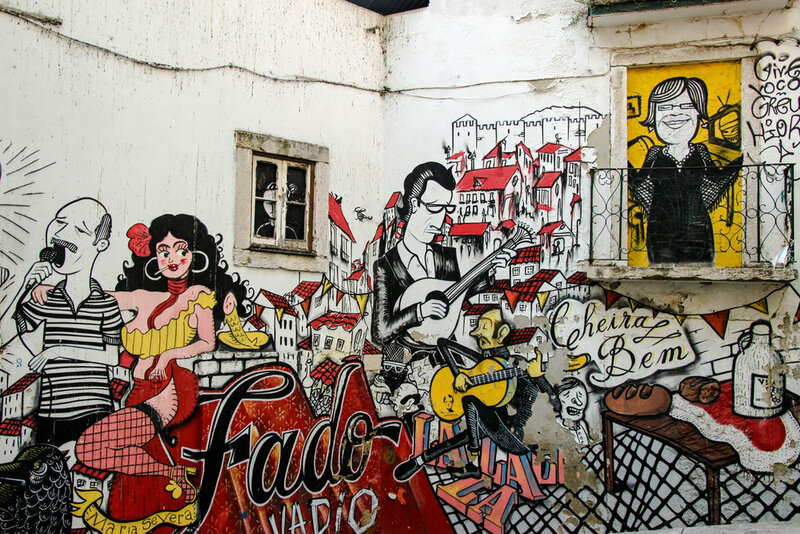 If you want to experience the hustle and bustle of downtown Lisbon with a local, look no further than Inside Lisbon's Food & Wine Tour. Hélder, our local guide for the next 4 hours, greeted us in the center of Baixa, or the downtown neighborhood of Lisbon. We met at Rossio Square at the base of a statue of Pedro IV. 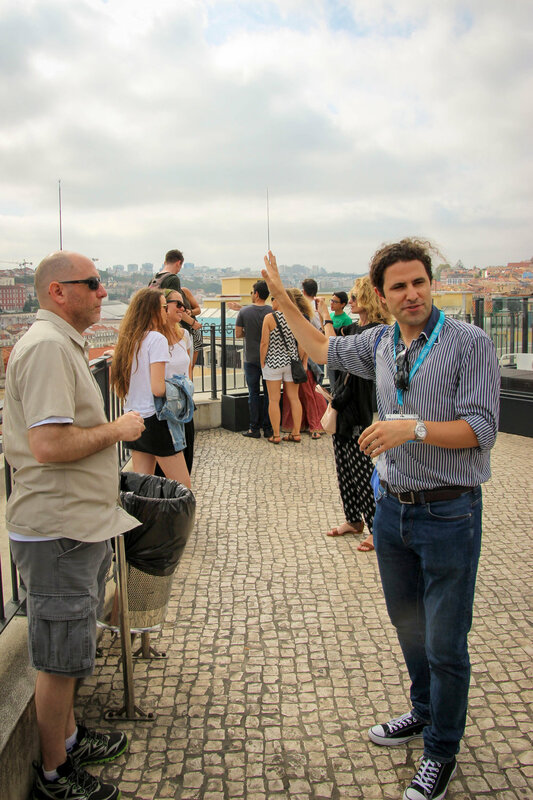 As a full time History PhD candidate and a part time food tour guide, we had many opportunities for Hélder to share his expertise on how Portugal's past shaped the current food landscape. With so many bustling streets, corridors, and busy restaurants, I was grateful to have a seasoned local take us around to the neighborhood's highlights and away from the overly crowded corridors. As pioneers of exploration, the Portuguese traveled the world during the Age of Exploration. Their principle role of searching for a route to Asia by sailing around Africa, set off centuries of colonialism and mercantilism. During this period of exploration, the Portuguese sailors were introduced to many exotic spices and crops, such as cinnamon and coffee beans, which they brought back to Portugal. These spices helped to elevate Portuguese cuisine to have the rich gastronomical traditions that it is revered for today. In 1775, a earthquake, followed by a fire and tsunami destroyed much of Lisbon. With much of the city destroyed, many homes and businesses had to be rebuilt after this devastating calamity. 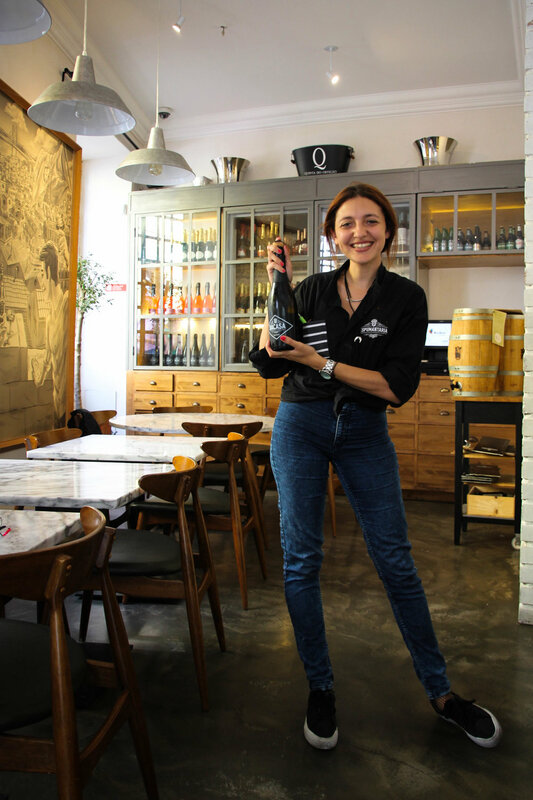 Our first tasting was right on Rossio square at Tendinha, or "little tent", which was one of the first taverns built after this sequence of natural disasters. 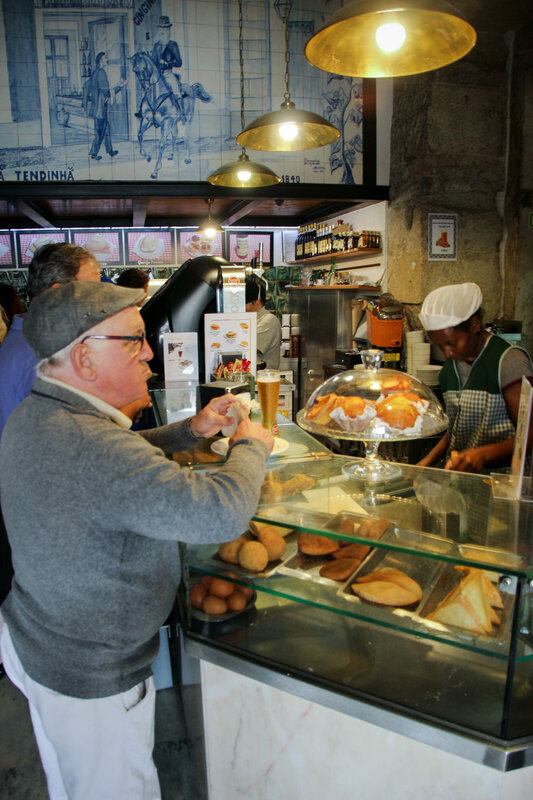 Founded in 1840, this little spot sells various beverages and petiscos, or Portuguese tapas. On a hot summer day, these pair perfectly with vinho verde, or green wine. Green wine is made from young grapes and has a slight effervescence giving it an acidic and fruity taste. Hélder let us know that this wine pairs perfectly with one of three things: a hot day, thirst, or seafood. The tour was set up so that we had a perfect combination of all three of these things. For our seafood we tried pastel de bacalhau, or salted cod fish cakes. These cakes are an amalgamation of white and de-salted cod fish, potatoes, eggs, onion, and parsley. Spooned into little ovals, these are then deep fried until they are golden crispy. 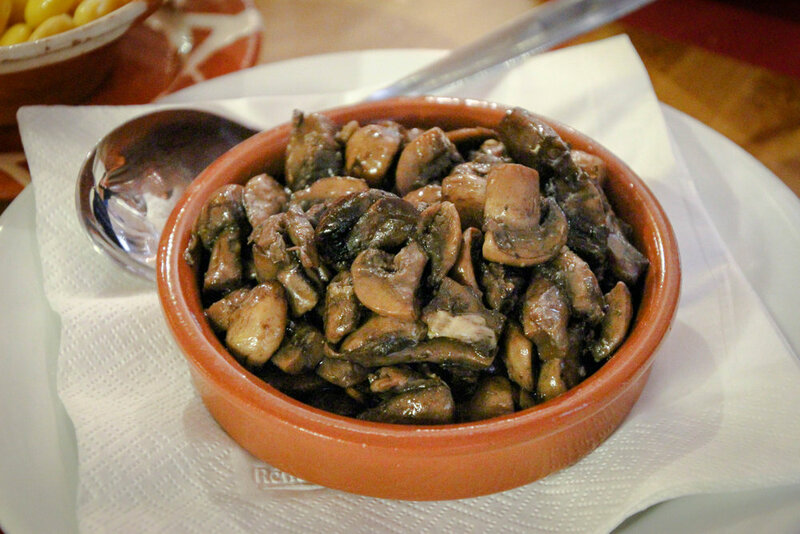 These are a quintessential Portuguese dish, and a great snack to pair with some bubbly wine. In general, good wine is very affordable in Portugal. A nice bottle should not set you back more than $10 USD. 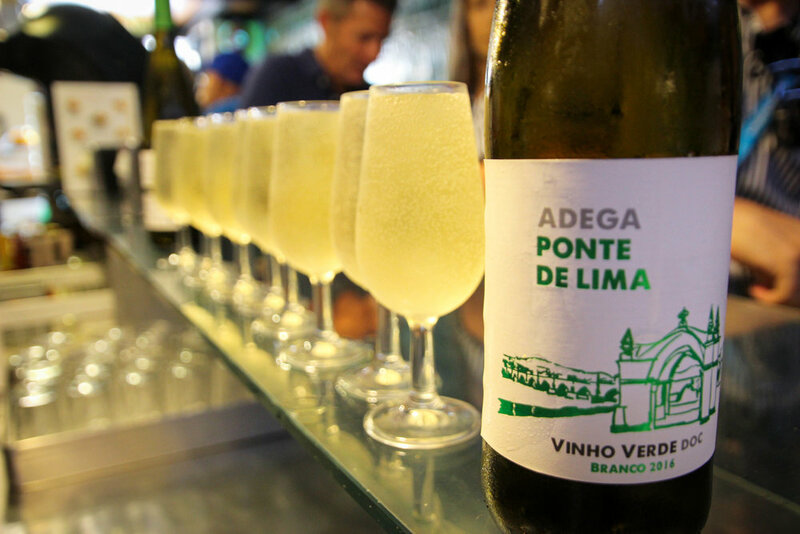 Each region of Portugal makes their own type of wine and because the terroir varies greatly from region to region, there is a lot of fun varietals of wine to try. This tour highlighted some of these regional differences. After our first drink and snack, we walked (or rather took an elevator) up to a terrace for a view overlooking all of Lisbon. The skyline was sprinkled with cranes, giving testament to the mass development happening in the city. 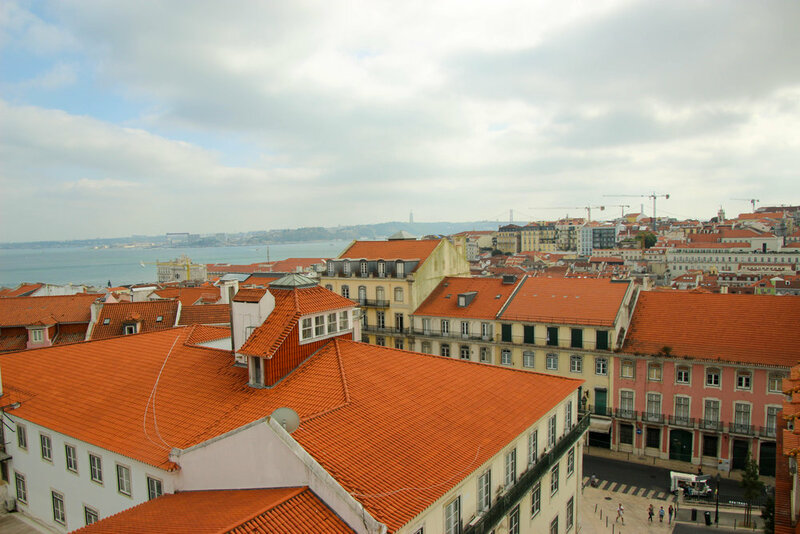 Like any major city, Lisbon is changing. 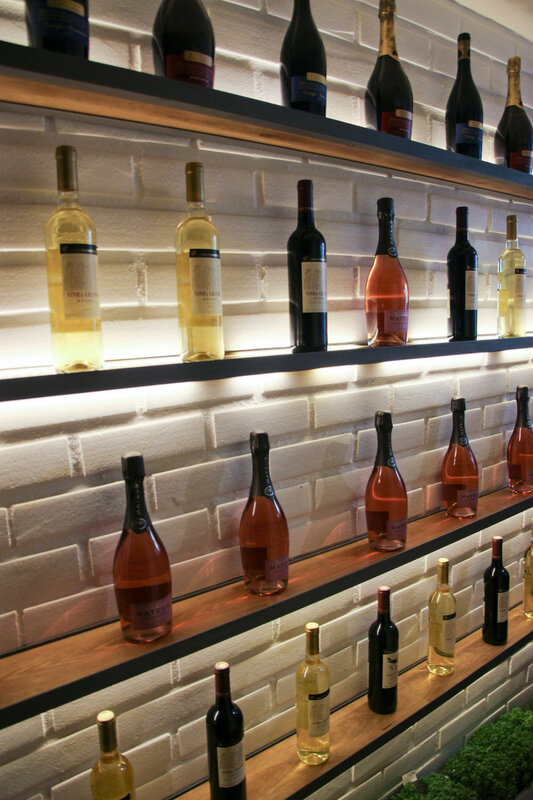 Wine and food classics, however, are here to stay. 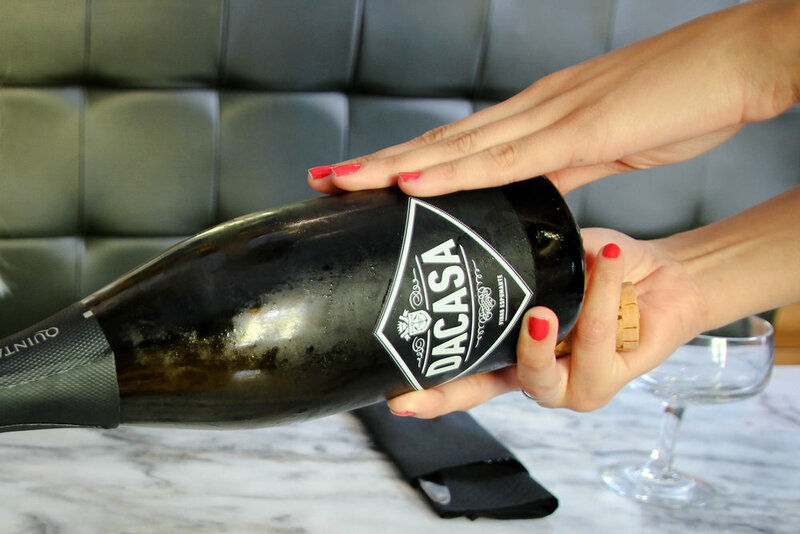 On our second stop we tried a sparkling wine from the north of Portugal. Here we tried codfish paté and petinga (little sardines) fried in a tempura batter. We ate the whole petinga: head, tail, and all. Unbeknownst to many, tempura is a Portuguese technique that was brought to and sensationalized in Japan. Though more commonplace in Japan, the Portuguese still love to fry their foods, particularly salty fish, in this eggy batter. 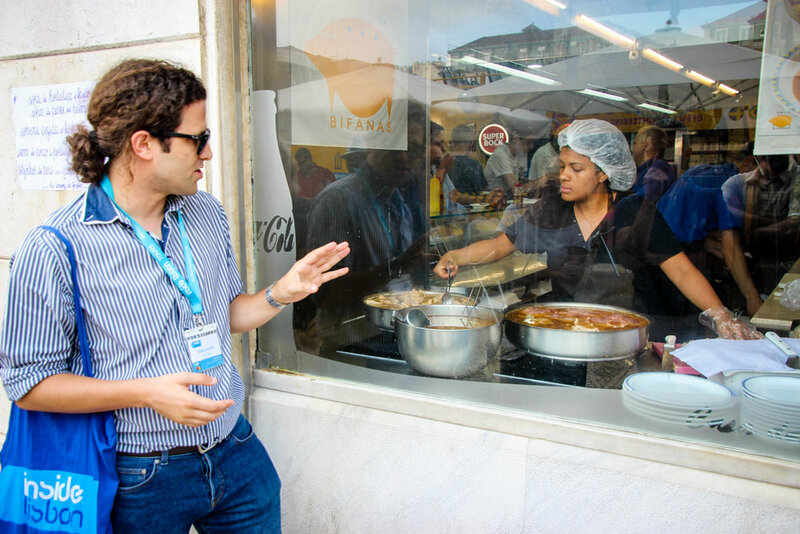 Meandering through the bustling city streets, Hélder pointed out some classic Lisbon street food. Possibly the most popular greasy late-night meal, which is actually served at all times of the day, is a bifana. This cut of pork (or veal) is marinated in olive oil, vinegar, herbs, pepper, salt, and then deep fried. The cut of meat is then taken directly from the fryer and added to a bread roll. No condiments are added - the flavors are all there and they seep into the white bread. 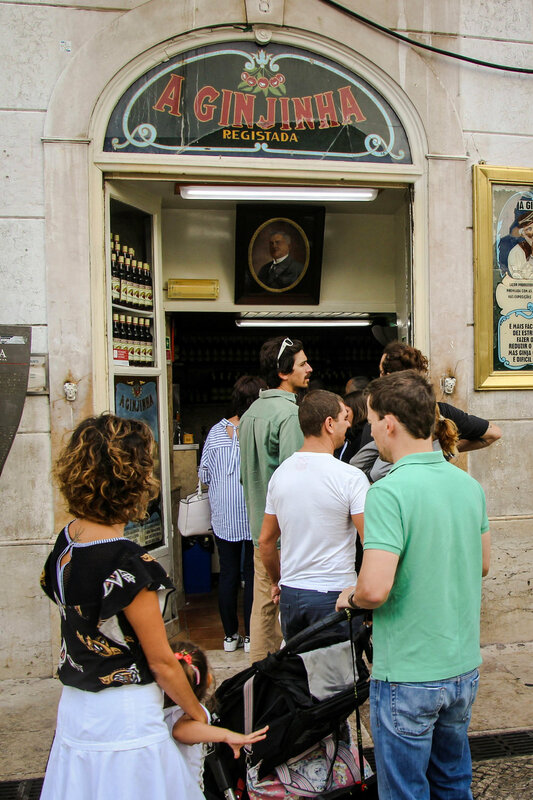 We then headed to Manteigaria Silva, a store offering Portuguese classics such as cured black pig, local cheeses, and port. Port is a sweet and fortified red wine produced exclusively in the Douro Valley - the northern provinces of Portugal. We tried some cheese that came from the archipelago of the Azores. Here lies the São Miguel Island, where there are 6 cows for every person. These cows are raised in a wild environment, and we had the privilege of tasting a 6-month-aged salty, cheese, which was paired with a quince paste. Naturally, we paired this cheese with port from the Douro Valley. 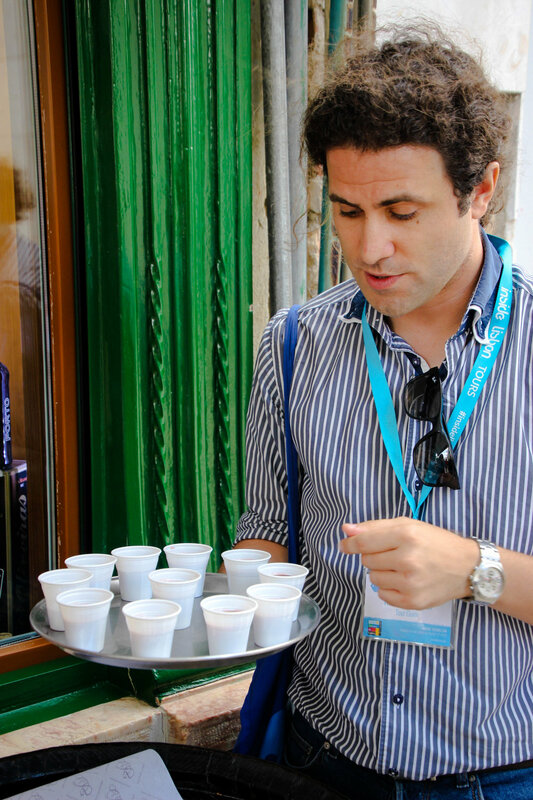 We sipped on another classic Lisbon drink at our next stop. 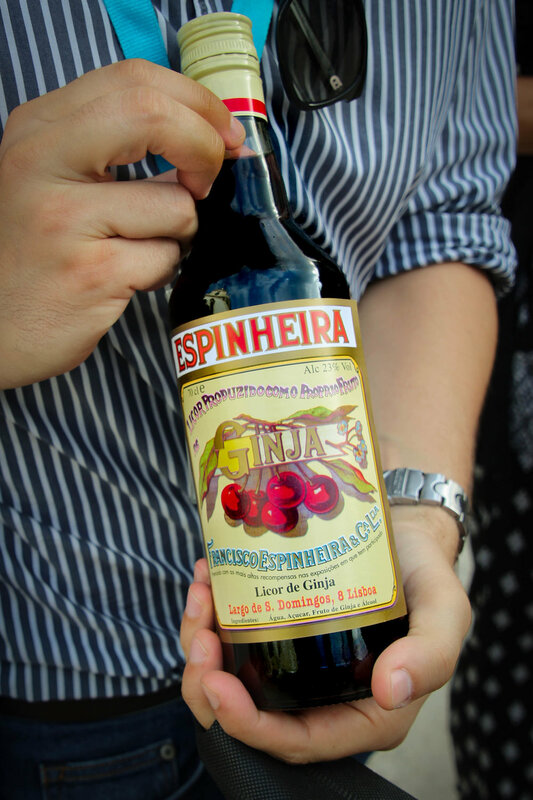 Ginjinha, a sour cherry liquor made from a mix of spices, such as cinnamon and sugar, which are spices brought back from former colonies of Portugal. Ginjinha has a 20% ABV, and is served in a shot glass. Do not be deceived by the cup's size as this is meant to be sipped - not taken as a shot. This local liquor was developed by a convent for personal consumption to help with ailments like "sore throats". This drink has an acquired taste, but it is a must-try while in Lisbon. To round off our tour, we finished with a vast sampling of local foods in a Casa do Alentejo, which is a gorgeous building built in the new Moorish style. We sampled some pork sausage, sauteed mushrooms, and eggs with sausage. Of course, as this was a food and wine tour, we also finished with some more red wine. 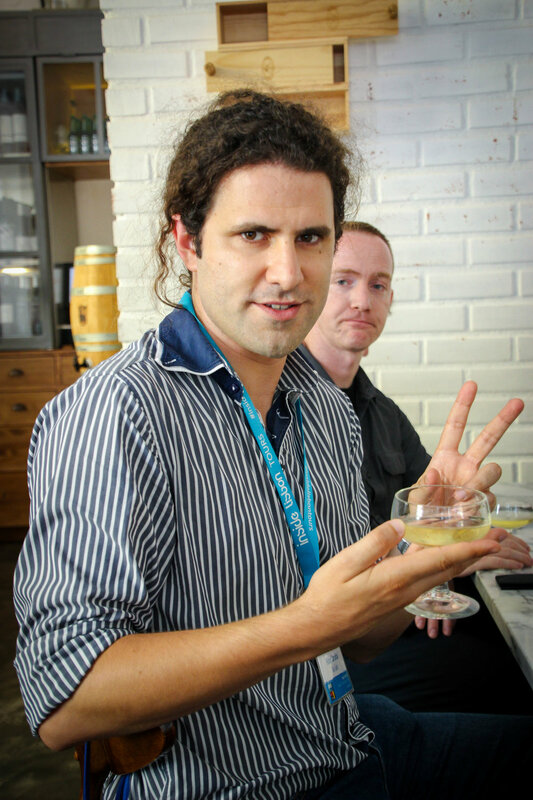 Cheers to Hélder and Inside Lisbon for organizing a great tour. 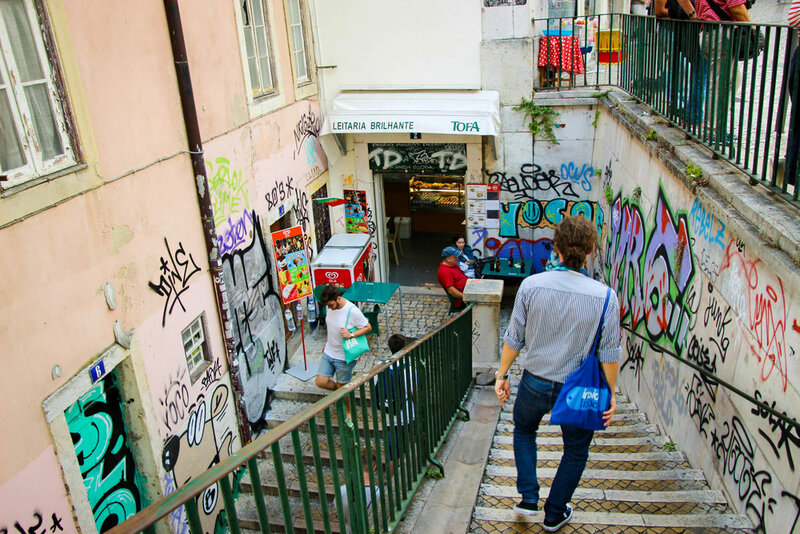 If you want to experience downtown Lisbon area with a local, this is the tour for you. This tour was sponsored by Inside Lisbon, however all opinions, writing, and photos are my own.